Hi. This is Tracy and Tom. 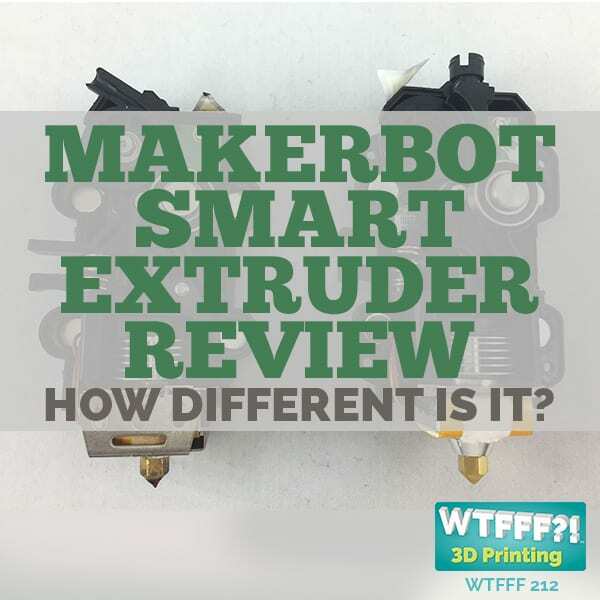 This is the WTFFF 3D Printing podcast. We’re finally going to get to talk to an artist/designer. That’s great. We’ve been doing a lot of podcasts where we’ve been doing talking industry people and material specialists, software guys and sales guys and all this stuff. That’s great. But we finally get to talk to someone who’s on the same wavelength as to what we’re doing. That’s really exciting because I understand she’s really a fine artist. She is, she’s a sculptor. It’s Bridgette Mongeon. She has already written a book called Digital Sculpting with Mudbox, which is a ZBrush type of tool, which she says that she goes between both. She’s got a book coming out in September called 3D Technology in Fine Art and Craft: Exploring 3D Printing, Scanning, Sculpting and Milling, which is quite a big use of digital tools. We really just talk about FFF here or FDM, whichever way you want to term it. We just really talk about that. She’s doing much broader things with it. We talk about our process a lot here. Bridgette is going to talk about her process and some really interesting things that she’s done and some projects that she’s been involved with. All of that ties into just this complete interest in bringing art and technology together to create. On the other side of that is the really important opportunity to make a living doing that. This is someone who is making a living clearly doing this. She’s added it into her process and she can make a bigger living, she talks about that. Let’s listen to Bridgette. Bridgette, thank you so much for joining us today. We’re really excited to talk to another artist. It seems that we’ve been mostly talking to lots of business podcasters, educators though, which I know that you are as well. It’s nice to talk to other artists and designers out there. We’re really looking forward to hearing what you have to say and what the focus of your book is. Tell us a little bit about that book first. Terrific. Thank you for letting me share. I have been trying to pitch this book for four years. 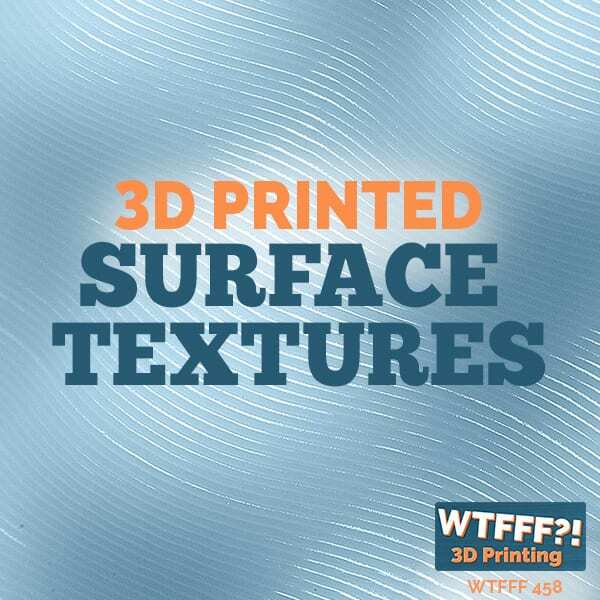 I had publishers telling me, “There is no need for a book of this sort.” The book is 3D Technology in Fine Art and Craft: Exploring 3D Printing, Scanning, Sculpting and Milling. Basically, I took those things because for me, as an artist, those were the things that I was using on a regular basis. The 3D printing of course and the CNC milling because I go large and not just small. I am a traditional sculptor as well as a digital sculptor. I really needed to have scanning in there. It combines them all. I’m featuring 80 artists from all over the world, incredible artwork, designers, architects, a little bit of everything. It’s for the artist and those people who are just starting out that don’t know how to do all of this, but also for those people who may be a graphic designer or may be someone who’s just dabbling in 3D printing but they want to explore other venues and either go larger or smaller or combine these processes. Combining traditional and new technologies at the same time. Yeah. I’m so excited about it. It’s a really exciting book. That’s great because there’s so little out there. When Tom first told me that he wanted to start 3D printing, I was like, “Okay.” I’m the research person so I always go, pull all the Kindle books I can possibly pull, figure out what’s going on in the market and read everything I can. There was nothing out there. We can get a basic overview, but there was certainly nothing about its application and design or art. That’s fantastic that this is going to be coming up. If you’re an artist or if you’re a designer, even if you just dabble a little bit in 3D printing and you don’t know, there’s people that come to the table and they go, “I don’t even know if my computer can handle a software. How do I figure that out?” It’s those basic things. Or, “Can you really 3D print by a push of a button?” No, there’s all these other steps that you need to take. We say that all the time. It is not that easy. People don’t know. Also I think what’s cool is, people don’t know there’s so much out there that’s free. You don’t have to invest into a lot of things, you can do a lot of these for free. We share those resources. 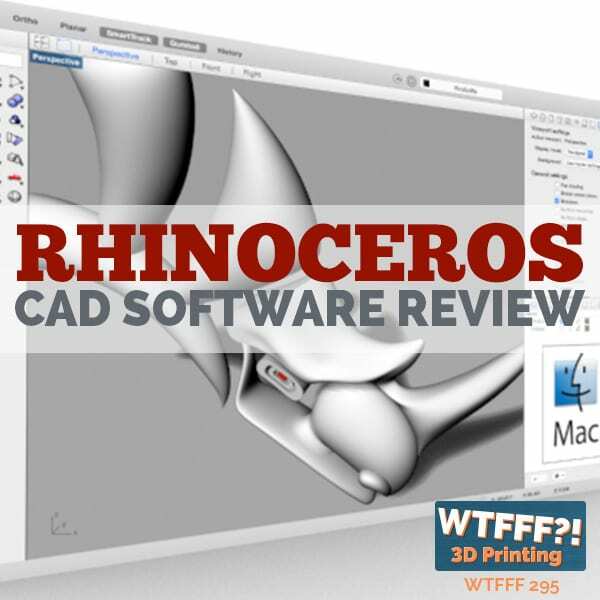 Why don’t you tell us a little bit about how you got started and what attracted you to 3D printing? It’s a little too soon. Give it some more time. Either it was not there yet or it was too expensive. I watched as these things progressed and where they came from. Of course, I had surgery on my hand so I’ve got the use of my hand back. But what I discovered was I have a tool that can really play a huge role. 3D technology, I can create three to four times as much artwork in my year of creating artwork than I could just doing traditional processes. Why don’t you tell us a little bit about the process that many sculptors are going through with using 3D printing? There’s a chapter in the book, which I really love, it’s called Foundry of the Future. 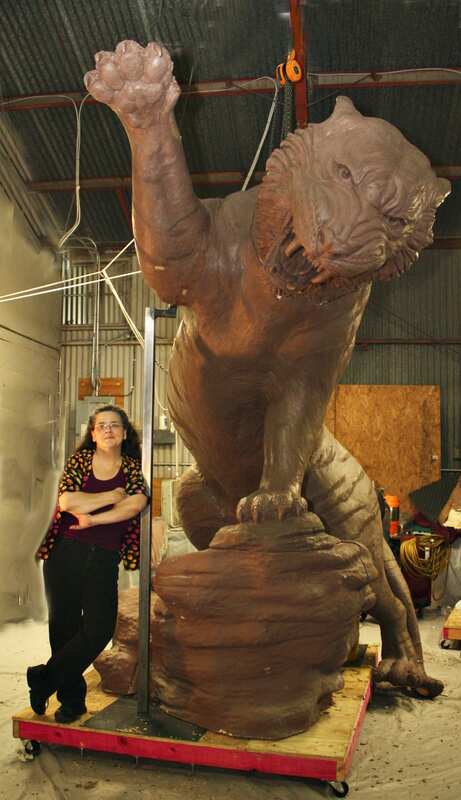 I take everybody through one job that I’ve worked on, which was a fifteen foot tiger for Grambling State, Louisiana that was cast in bronze. I take everybody through that entire process. Because I started the digital design in the computer and that was approved. Sometimes I use these digital designs also to sell my client on a job. I can often sell up the job because I can display it in a way that nobody can see if you’re just sketching it on a piece of paper. In the book, I took people through that. In that one chapter, I go through the traditional process of lost-wax bronze casting and then I show how 3D printing is infiltrating those processes at different levels and in different places. To me, that was a fascinating connection to make it my own mind. Again, there are three things that I mentioned, of course the build envelope, which is the size that things can be 3D printed or milled and the detail that can be gained in that. You have the build envelope, the detail and also the cost factor. The cost have got to come to a point where it’s feasible, it’s much cheaper for me to print, to go and sculpt and cast a bronze than it would be the 3D print of bronze. Those things are coming into play. They’re starting to even out so I’m really excited about that. Also, we’ve been hearing about these bigger build envelopes. It was two foot by two foot by two foot. Gigabot, it’s two foot by two foot by two foot. It was under $10,000. The price of even larger build envelope is coming down. Even some of the artists that I’m featuring in the book who are doing 3D printing in clay, which I’m just so excited about, you could see the little hairs going up on my arm. They’re doing some massive pieces with these 3D printing in clay. I’m fascinated with that too. We’re furniture designers first and foremost. The size is a big thing for us. The idea that it could be happening for us as well. I’m sure for artists as well as it is for us as designers, the iteration process is really a critical part of it. Obviously, when you’re casting in bronze or doing something like that, if you’ve made a mistake, it’s costly. The other thing with being able to use all these processes, for example I did this fifteen foot bronze sculpture for Grambling using the CNC and enlarging through the CNC, which is computer numerically controlled for those people who don’t know, and it’s a subtractive process. At the same instance, I had a digital model. Then I could go and I could 3D print smaller pieces. Here, I’ve expanded my sell point because now not only did I do this huge monumental piece, but I did this smaller one and I can sell these to the school and I can take the design and do other things with it, which I can do much more readily and easier because it’s manufacturing, it’s not costing me as much to manufacture as if I were to send it to China and do it that way. I could experiment with that. You could see how my sell point has now just grown and grown and grown with these processes. We’ve been hearing that. You mentioned the Foundry of the Future, that many founders are looking at doing that. If your sculpture goes into a museum, the museum might want to offer these in their museum store. There’s just so many more opportunities for continued business. We’ve got the big bust in the school and maybe we’ll give these little ones away. I’m constantly having this thing. Another client called and said, “We want an eighteen inch figure, but we’d really like to give one away to everybody in the field that’s a little smaller.” Again, my possibilities are endless. That’s great. Have you experienced that scanning of your sculptures yet? I scan them all the time. I scan them. I have a NextEngine Scanner, which I love. That’s also part of my process. I probably make more work for myself. I may sculpt it in the computer. For example, I’m working on another project, which is a monumental sculpture of Alice in Wonderland’s Mad Hatter tea party, which I’m so excited about. I did this sculpture inside the computer to sell it to my client. They said, “We don’t really want life sized. Can you make the rabbit eight foot tall?” Instead of me having to go and make another maquette, I just press a button in ZBrush and make this guy bigger and the table smaller. I can rearrange all these things. He saw the digital model. I try to train my people into saying, “The digital model, what you see is not really what it’s going to look like. It’s kind of what it’s going to look like.” But they’re just pieces that I throw together. Half the time, I haven’t sold the project when I’m putting this together. You’re still going to have your artistic process. It’s going to take over and you’re going to discover ways. Heck yeah. I’m going to do it as fast as I can. Then I take it downstairs and I do a maquette in the studio. I did a ten inch maquette of the rabbit and I scanned the rabbit in and then I brought them into ZBrush and I cleaned them up. I think there’s a new venue for, and I write about this in the book, a new job thing. That is the middleman between us artists who really want to create and the 3D printing companies. Because I send my stuff off for somebody else to fix the files and make them workable because I don’t want to have anything to do with it. I think it’s a whole new area of income for people who are interested in doing that. I had a couple of people fix one of the pieces for Alice in Wonderland because I’m actually hiding 150 elements of the story in this Alice in Wonderland monumental sculpture. The 150 elements is because this is the 150th anniversary of the story, if you can believe it. Alice in Wonderland has been around that long. I’m sculpting these things in the computer and then I’m 3D printing them and then I’m taking them downstairs into the traditional studio. I’m embedding them into the bark or the tree or the leg or whatever so people have to find these 150 elements. Sounds like a lot of fun. Where is this going to be installed? It’s in a park in Texas. I can’t reveal that yet. That sounds really great though. There will be lots of interaction. You’ll be able to go to the park with your picnic and sit down at this bronze table and have lunch with the Mad Hatter and Alice. If the table’s taken then just walk around and try to find those 150 items. I love that. That’s great. It’s one thing to design it in a computer and yet another thing to interact with it. We always go to full scale, which there are so many companies that just don’t. It’s very evident when you buy the product. In my research and some of the people that I’ve been talking to with all these artists, I was curious because I think there’s also this disconnect between having something in the computer and then touching it. I have found that people said it took three to seven 3D prints before they felt that the modification that they needed to make were perfect in that design. I thought that was really interesting. It is. I find at least that many. We tend to be on the higher side of that, maybe more like seventeen prints. We’re really picky. It depends on how complicated your design is. 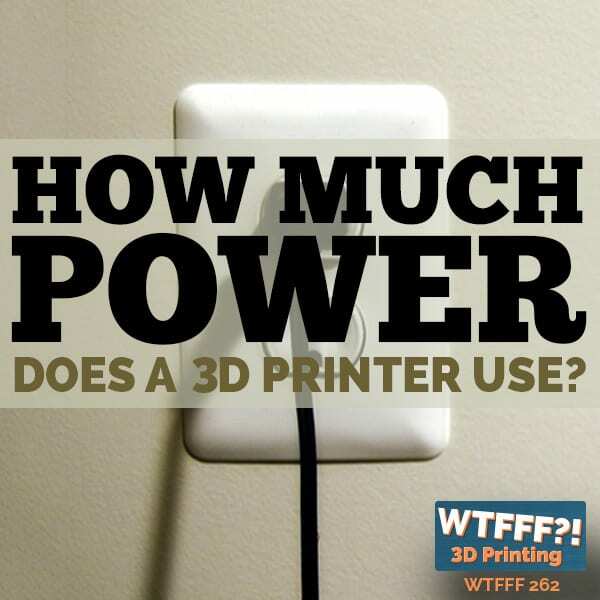 We are definitely pushing the edge of what can be done in 3D printing. I think our models, as we create all original art for our models, we’re not downloading things and building off of them in general. It definitely is a long process. I’m curious. It seems that to have a fused deposition modeling printer there that could just print it off real quickly, that you could hold, that you could look at it, it’s like going to the Xerox and Xeroxing it real quickly and then be able to space it out. Do you find that it would be beneficial for studios then to have this cheaper print and then be able to go later on once they’ve revised all these things? I would say definitely, because all too often we get surprised by certain things. That’s an expensive surprise if you’re using outside resources. That’s part of I think why newcomers to 3D printing don’t realize it’s not necessarily that easy like pushing a button. Even with the more easier FDM machines or FFF machines we use, like say a MakerBot or something. I highly recommend it. I like it in my process. I think it’s changed our design process a lot for us. I think that’s the important part to a lot of people. We talk about this on our podcast quite often. It’s hard to justify the purchase of a 3D printer if you’re expected to have a return on investment happen immediately. Many businesses have that perspective. Also, they’re so busy that anytime taken to learn a new technology is time lost in billable hours or whatever their business is. That was the case for us in the early days. I had higher expectations on how fast we’d be printing something. Tom was like, “This is a great research project.” We started at an interesting time in our business. I think in the end of the day, the six months it really took us before we got a good usable print of our own designs. We got usable prints off the machine, I just don’t think they were at our quality of design level that I had expectations for. It took us about six months. When that happened, it was like, “Oh, a-ha.” We can keep going from there. We discovered our place in 3D printing design and how it fit our process. I just can’t imagine our studio without it anymore. We have the same thing all the time. You said that you use ZBrush. I think it’d be interesting to know for our listeners how long you’ve been using ZBrush and how long it took you to get comfortable to the point where you thought you were being productive with it. I don’t think I’m there. ZBrush is such a huge program. I actually started working with Mudbox. 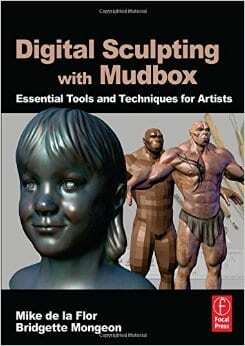 We wrote a book about Digital Sculpting with Mudbox; Essential Tools and Techniques for Artists several years ago. I like Mudbox because the interface is so easy to use. There’s still some things I can do in Mudbox much easier than I can do in ZBrush. I can’t figure out why that is because ZBrush can do so much. There’s this other thing that I talk with a lot in the artists in the book. Bruce Beasley is featured. He’s one of the pioneers. These guys have been doing this work for 30 years. I can’t even imagine digital technology 30 years ago because it seems so new to me, but it’s been around for a really long time. Because it seems rough still. 30 years ago, it must’ve been really rough. Bruce said that there’s this thing where when he goes down in the studio and he works, a caliper is still a caliper. Two years from now, it will be a caliper, it’ll be a measuring device that you use to measure and it will always be the same, but not the same with software. You could learn ZBrush now and in two years, I guarantee it’ll be a different ball game. It’s a constant learning curve, you always have that. Do I know everything in ZBrush? No. My difficulty, if I spent all day long in ZBrush, that would be one thing, but I’m traveling up and down, I’m going downstairs in a traditional studio and then coming back up. I forget what I know, that’s why I create tutorials. In every project is different, that’s what we find. The way that our projects work is that every single time we approach a project, it’s completely different than the last one. It’s not like we do the same thing again and again. I’m sure yours is the same way. There’s all these new challenges you have to solve and try new things on the software that you’ve never done before on the printer. Absolutely. There’d be times that I’m up here working on ZBrush and I’d go, “This would be so much easier downstairs.” I do have this pole inside of me. Downstairs, I could just cut this off and move this over here. When it comes to shaping things and having that organic feel, I do it much easier with my hands than I do in ZBrush. It’s easier for me to start out that way than just to start pulling pixels around. I just have an easier time with that because I can hold it and I can see how it relates to light and shadow. It just makes sense in my brain, wherein the computer, it doesn’t. I hope that makes sense. It completely does for us because we still sketch. We do it all the time because there’s just some things you can do faster with a pencil. The way I often approach it, after I’ve gone through some sketching process and we discuss the factors around our design, I can see it in three dimensions in my mind. I go through a process of thinking about how I’m going to construct that in the computer before I sit down to the computer to do it. There’s just definitely a lot of experimenting that goes on, two steps forward one step back type of stuff. Ultimately, I’m really happy with the computer CAD design process. It’s worked for us. The quick feedback from the 3D printing has just been wonderful. I do wish that I had that. I don’t have a 3D printer here so I have to send my stuff off. I think that that is something that’s lacking in my system. I think though that if you’re running a business and you’re busy and everything, it’s almost like you just need a technician to run it. If your business isn’t at that stage, the learning curve on itself and the technical aspect of it, it would frustrate me with the amount of work. Tom usually handles some part of it because I get too frustrated too fast with just running it. That’s one of the reasons why with 150 items that I’m hiding within the sculpture, I’m looking for companies that will volunteer to print these so that I can bring them into the book. I’m writing a book on that process, on the whole process. I’ll feature them in the book. The press on this thing is just astronomical because of the 150th anniversary. What materials are you having them printed in? I need something that’s not porous. I’m going to be going from taking these sculptures, these 3D printed pieces. A resin or a plastic is much better for me because I have to shove them in clay and then see how they work around the clay. In the same instance, in here I’m going to be giving some of the secrets to 150 items. The buttons on the March Hare, look inside those buttons, they might capture some of those things. Some things I won’t be 3D printing at all. Some of them I’ll be milling. The claws that are on the chair that Alice sits on are really the claws of the Jabberwock. I went through this whole process of what would the Jabberwock hold in his claws. There’s four items right there. 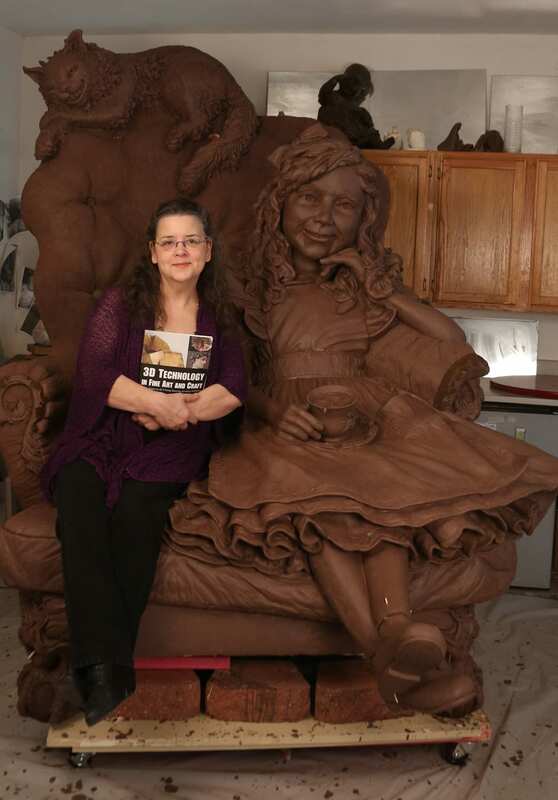 Bridgette Mongeon is creating a sculpture of Alice in Wonderland’s Mad Hatter Tea Party. Another one is the white queen. It’s not like I’m printing 150 items, there’s actually four elements in the white queen. One of them is that she has the face of my mother. She is the white queen where she’s placed. Then you have to know something about, because there’s a second book that helps you to find all these that are written in rhyme and riddle. You’d have to know something about the story to know that the white queen is the person that says, “I imagine six different things before breakfast,” or something of that nature. It’s a very fascinating journey of these things. Another example is I’ve inherited my mother’s tea set. All the tea cups that are set out on the table will be my teacups that will be 3D scanned and then we’ll enhance those in ZBrush and then 3D print those out and then make molds of those. Wonderful. Interesting. If any of our listeners are interested, they’ll be able to find you through our blog post on that as well as through the podcast notes. You may get some volunteers. That would be lovely. I encourage people to go to the DigitalSculpting.net website because I’m really trying to make it a one stop resource for those people who are wanting to learn. Because one of the difficulties for me, I don’t know how it was for you, is I couldn’t figure out how to find all these vendors. Who do I need and where are they? That’s part of the reason we started the podcast, was because we realized that. It’s not just for beginners. As you’re growing in your learning curve, you come across, “I don’t know …” For us, we don’t scanning in the normal part of our design process. It’s just not a part of it, but we had a need for one and all of a sudden we had to go find some resources. In your learning curve that you might go through for any given project or something, you might need some new resources. That’s what we’re trying to build up ourselves, are these resources as to what we’ve gone through. Little more designer focused and a lot less sales focused. I applaud you for what you’re doing. Yay. We all need that. I think that’s really the case. Just last week, we were talking to a guy who’s working on an educational program for children, which we find fascinating as well because we have two young daughters and one older one. One is six, one is one. We want them to have a full technology and design and art education. In the state of California, it’s like nonexistent in the public school system. That idea that she might learn digital design, 3D design at age six I think is just fascinating to us. I think it’s the new economy in a way, it’s the new way you’re going to make yourself a very valuable career and advance your career, whether it is an artist or it is in business. To have that understanding and basis of this. I think this is across disciplinary because you’re talking about architecture, you’re talking about industrial design, you’re talking about art, you’re talking about geography. You’re talking about so many things when you’re talking about 3D. You would almost have to know it. Again, I applaud those people who are working with programs to help teach the kids. People have been asking to come into schools and talk about young women in math and science. I went, “Wait a minute, I’m an artist. Where do I fit into this?” But it’s because of the technology. When I think about it, it is all math. Everything we’re doing in these computers is math. When you can pull all that together, it’s really exciting. I support the use of the word STEAM, where you add the art in there. I went to a meeting once where someone said to me that they designed their 3D printed objects by editing the G code. I thought to myself, I go, “And you could visualize what that look like?” Because I thought to myself, “I can’t even imagine what the object looked like.” We have to get to a renaissance stage of education and development where we’re more well-rounded and we have an art and essential elements of design and we understand these things because everybody’s designing nowadays. You make your own WordPress website, you do your own graphic logos, you print out your own business cards. You’re making design decisions all day long now. You’re making color decisions all day long. Where’s some training in that? It’s interesting that you said the G code. When I started this book, because when you’re with a publisher they send it out to a bunch of people to review your idea. Somebody came back and said, “You have art that’s done with code.” I got all glassy eyed, I’m like, “What? I can’t even imagine art with code.” It turns out I would say there’s at least 40% to 50% of the art that is in there is done with just code. It’s amazing art. It’s interesting how you start with one area but then the artist, and I think that’s what’s happening, the artists and the designers are actually pushing the technology to do things that it would never ever do before because it was made for industry. We are pushing it there because we want it to go in that direction. Our goal is to also help take it to the point at which either, as you were saying, you can make a living doing it as an artist or your business can be, and this is what we talk about all the time, your business can be extremely competitive, customer service focused, mixed specialty items for your local community, that you’re actually making a business and a living out of it. What do you think is holding back more artist and designers from using 3D printing? Really? They’ve obviously never 3D printed before. That’s disappointing, because honestly we just see it as another tool in our toolbox. Absolutely. Everybody that’s using it says the same thing. I’m not quite sure why the outsiders see it as that. It could be the fine art community and that it’s collectible things. How do we educate the museums and the galleries to accept these things when they would be more manufactured? Because a 3D print is a 3d print is a 3D print. There’s all those dialogs that are taking place. As well as the education of it and just the fear of it’s overwhelming as far as the education of that goes. 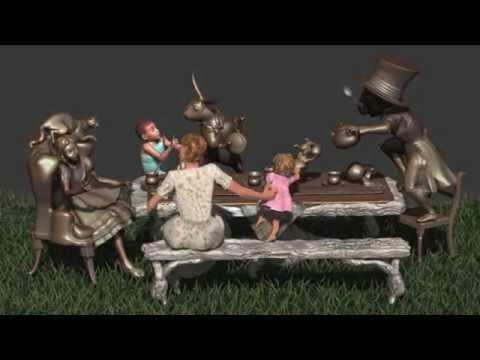 Bridgette Mongeon 3D Sculpting Alice In Wonderland sculpture. To wrap up a little bit, you have a podcast as well. Your podcast is called Art and Technology podcast. What is your core audience? I would assume that the core audience is our artists who are interested in pursuing this, fine artists who have never done it, graphic artists who think that, “Maybe I’d like to create something in a physical form but I don’t know how to go about doing it,” and those people who have already been doing it but want to expand their knowledge base and their resources. I interviewed Eric van Straaten on the podcast and he was saying that he couldn’t do the designs that he does now, and he’s selling as fine art. He couldn’t do them before. His hands can’t create them. He could see them in his head but his hands couldn’t create them. Same with Joshua Harker when I interviewed him. We’ve seen his work? It’s great. With the skull. Wonderful podcast. He had things in his head you couldn’t even produce traditionally in casting because they were so intricate. It does open up more doors for that especially. Thank you so much for your time today, Bridgette. We really learned so much from you. I just think this is really such a burgeoning field that we look forward to hearing more about how it’s expanding and new artists and new designers. If you want to send any one our way, we’d appreciate it. Terrific. Thank you for having me. I applaud you for what you’re doing because you’re helping us to educate everyone else. Yay! Thank you so much for having me. That was really interesting because there was so many tips, tools, people, referrals. She’s really connected because she’s been doing this a long time. I am shocked at how much she has embraced all these modern technologies and I think a lot of technologies that some artists frown upon and think that it’s beneath them. There were so many great links and definitions of things that Bridgette mentioned in the podcast. There’ll definitely be some extensive show notes and links to everything, especially some links to the information of what she talked about with her story with B.B. King and her daughter’s story that she wrote. I think that that’s something that you all will want to read. I can’t wait to read it. As always, you can contact us, comment on it, you can comment within iTunes or you can do it right on our show notes page or our podcast page. There’s a send voicemail message so you can ask us questions, which maybe we didn’t cover but we could go and get a follow-up question answered for you. You can also be a guest on our podcast. We haven’t really mentioned that before. Absolutely. We’re always looking for really interesting stories. If you’ve got one, we want to hear it. I think that’s been very overlooked aspect of life that a lot of people just assume, “I won’t be able to do that.” I don’t think that’s true at all. Be bold. Ask us. Anyway, you can also follow us on Facebook. Until next time. This has been Tracy and Tom. 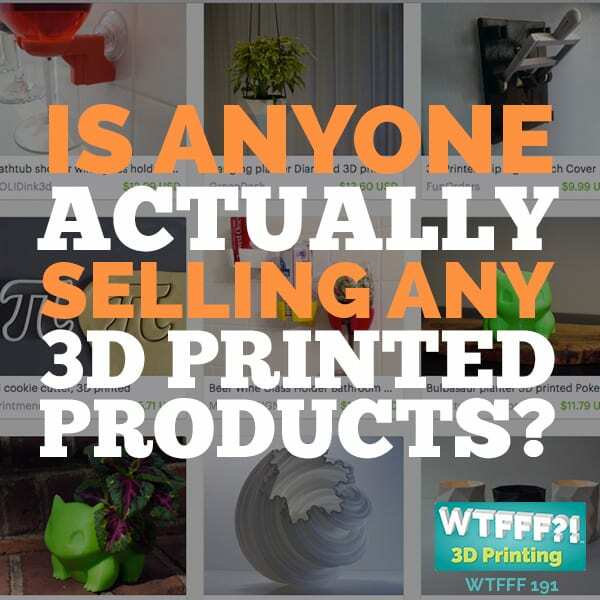 This is the WTFFF 3D Printing podcast. Bridgette is an artist, sculptor, writer, educator, public speaker, and wife and mom too. Twenty years ago she began experimenting with sculpture. 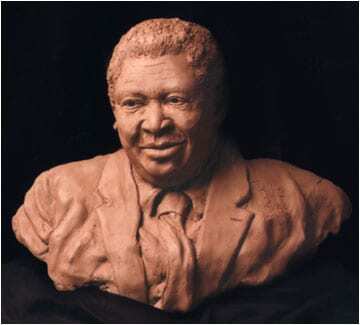 She has had the opportunity to sculpt the famous, like BB King, countless children, adults, and even pets. Currently she is working on a monumental bronze sculpture of Alice In Wonderland’s Mad Hatter tea party celebrating Alice In Wonderland’s 150th anniversary. 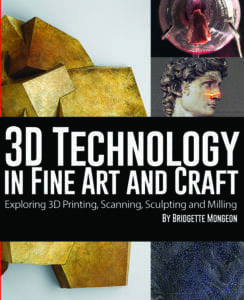 You can learn much more about Bridgette by visiting her web site Creative Sculpture or reading her writings including her new book coming out September 2015 titled 3D Technology in Fine Art and Craft.